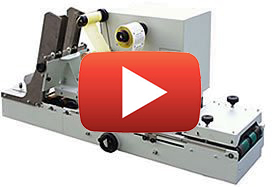 The JMV Robotique LAB500 Universal Labeling machine from ADR is a fully automatic labelling system. 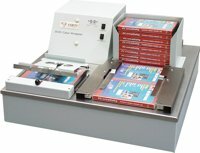 Apply labels to a wide variety of products, in fact any product with a maximum height of 2" (50mm) and a width of 8.3" (210mm), at up to 4000 pieces per hour, with the LAB500 Universal Labeller. The LAB500 will apply labels to a wide variety of products at up to 4000 pieces per hour. 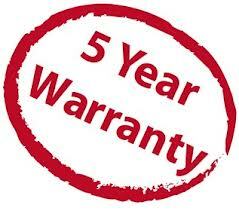 - in fact any product with a flat surface to a maximum height off 2" (50mm) and width of 8.3" (210mm). 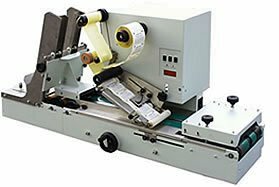 Table top portable automatic labelling machine that can be used as a standalone unit or incorporated in a production conveyor line. Multiple units can be placed in line working at 4000 units per hour to form a complete tabbing, labelling and bar coding system. 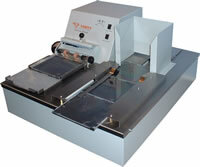 Thanks to it's versatility, the LAB500 can use paper labels, plastic labels and tabs with clear or solid backgrounds. Labels can either be in fan fold or reel format. Automatic feeding - (optional FF500). 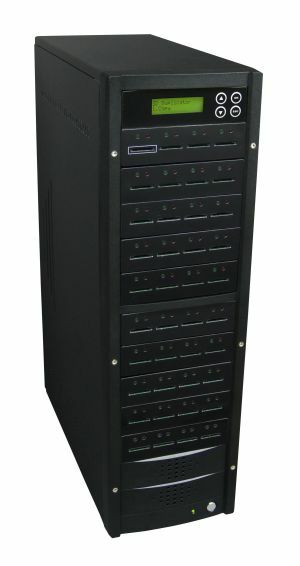 The FF500 Hopper is an optional accessory for the LAB500. 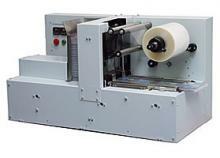 It functions as an automatic dispenser unit and also as an automatic flap folder. It will dispense paper, plastic and tyvek sleeves, Jewel CD-Cases, CD-Slim-line cases, DVD-cases and other flat objects. 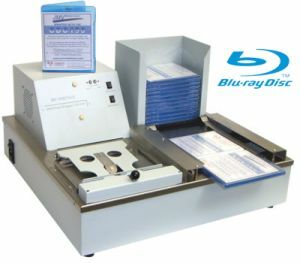 As already mentioned, the hopper is also capable of acting as an automatic flap folder, folding down flaps of paper and Tyvek CD sleeves and other envelopes, as they pass from the hopper onto the LAB500's conveyor belt. Even the most basic sleeves can be folded and then secured with the addition of a label tab. Another feature is the increased capacity, since the hopper is able to hold 220 typical paper sleeves or 34 jewel cases and can be refilled while the unit is running.